Treatment of diverse cell lines with androgens results in variable induction of target genes. The most likely explanation for differential activation of the AR is cell-specific presence of proteins that enhance (coactivators) or diminish (co-repressors) AR activity. The fact that transcriptional activity of steroid receptors decreases after transfection of other steroid receptors led to the assumption that different steroid receptors compete for the same co-regulators. The first AR co-regulatory molecule, androgen receptor associated protein 70 (ARA70), was discovered by a yeast two-hybrid screening approach with a GAL4 AR fusion protein as the bait (85). A similar approach was applied in other studies in which proteins that interact with the AR in a ligand-dependent manner were identified. The effect of coactivators is, in most cases, demonstrated in cotransfection-transactivation assays in which they further increase ligand-induced AR activity (86). Expression of the AR should not be modified by molecules characterized as coactivators. Type I coactivators are bridging proteins between the DNA-bound nuclear receptor and the basal transcriptional machinery. Protein inhibitors of activated signal transducers and activators of transcription (STAT) factors (PIAS), whose members exert differential effects on AR activity, belong to this group. AR activation is stimulated by PIAS 1 and 3 but repressed by PIASy (87). P-catenin has a role in cell-cell adhesion by linking the cytoskeleton to adherens junctions, acting as a type I coactivator (88). As an effector of the wingless type MMTV integration site family (Wnt) pathway, P-catenin regulates proliferation, differentiation, and migration (89). Cytoplasmic P-catenin can form a complex with members of the T-cell factor and lymphoid enhancer factor family of transcription factors in the nucleus. Class II coactivators have histone acetyltransferase activity that is required for relaxation of chromatin structure. They stabilize ligand binding and influence translocation of the AR. Coactivators of the p160 group that interact with several steroid receptors are class II co-regulators (90). Other examples of cofactors that belong to that group are BCl-2 associated athamogene 1L (BAG-1L), steroid receptor coactivators-1 proteins (SRC-1), ARA70, and ARA24 (90-92). AR interacts with general transcription factors such as transcription factor IIF (TFIIF) through its NH2-terminal. TFIIF domains serve in transcriptional initiation and elongation. It consists of six core subunits and a protein kinase moiety, cdk-activating kinase (CAK), which contains three catalytic subunits. One of these subunits, cyclin dependent kinase 7 (cdk7), interacts with AR. Because a large number of co-regulatory proteins interact with AR (for a comprehensive list see the AR database, http://www.androgendb.mcgill.ca), it is not easy to assess the impact of a particular coactivator for AR function. This issue may be relevant when discussing new ways to inhibit AR action in prostate cancer. Although there are several means by which downregulation of AR coactivators could be achieved, it should be emphasized that there is a redundancy in their action. This is additionally supported by data showing that targeted disruption of SRC-1 does not cause an androgen-insensitive phenotype (93). In some experimental studies, there was an effect on in vitro growth of prostate cancer cells in which a specific coactivator was knocked down (94,95). However, in vivo confirmation is still missing. Most early studies with AR cofactors were performed by semiquantitative RT-PCR (96). They largely confirmed nearly universal presence of coactivators in both benign and malignant tissue. More recently, improved research work using specific antibodies has allowed detailed studies of their localization and function. In addition, functional studies performed with chromatin immunoprecipitation assays allow assessment of recruitment of coactivators to promoters of target genes in various prostate cancer models (97). The purpose of this chapter is to familiarize readers with established facts and concepts in coactivator research. Some studies have focused on the role of the p160 coactivator, SRC-1, in prostate cancer. SRC coactivators are composed of NH2-terminal tandem basic helix-loop-helix, PAS domains, three central LXXLL motifs, and a COOH-terminal glutamine-reach region. The AR interacts with SRC-1 through two different regions, one in the N-terminus (AF1) and the second one in the C-terminus (AF2). In studies carried out in material from patients with endocrine therapy-resistant carcinoma of the prostate, it was found that SRC-1 levels increase (98). Similar findings were obtained in the recurrent CWR22 xenograft (99). Increased levels of SRC-1 in therapy-resistant carcinoma of the prostate facilitate activation of the AR by adrenal androgens and metabolites. However, a study investigating the expression of 16 AR co-regulators, including SRC-1, by real-time PCR and in situ hybridization, found diminished expression of SRC-1 mRNA in therapy-refractory carcinomas (100). On the other hand, its overexpression was found in the LuCaP 70 xenograft. Work by Fujimoto and associates suggested an opposite trend toward increased expression of SRC-1 in tumor specimens obtained from patients with poor prognosis (101). These results indicate that more research is needed to investigate expression of SRC-1 and perhaps other cofactors in selected cell subpopulations representing benign and malignant epithelium and adjacent stroma. In addition, regu lation of mRNA and protein for most of the cofactors in prostate cancer is not well understood. SRC-1 is a mitogen-activated protein kinase (MAPK) phosphorylation substrate and has a role in ligand-independent activation of the AR by interleukin (IL)-6, a multifunctional cytokine involved in regulation of prostate cancer cell proliferation, apoptosis, and differentiation (102). Similar changes in the expression of another p160 coactivator, transcriptional intermediary factor 2 (TIF-2), were also observed in patients with recurrent prostate cancer (98). Posttranscriptional increase in TIF-2 expression was found in prostate cancer cells in response to epidermal growth factor (EGF) (103). Phospho-rylated TIF-2, thus, contributes to the potentiation of ligand-dependent AR activity by EGF. The levels of the p160 coactivator, ras-related C3 botulinum substrate 3 (RAC3), also correlate with prostate tumor grade and stage (104). Transcriptional integrators p300 and its functional homolog, CREB-binding protein (CBP), are also implicated in regulation of AR activity and cell growth in several ways. Both proteins, which can act either as type I or type II coactivators, were demonstrated to potentiate ligand-dependent activation of the AR (86,105). They could perform enzymatic activities, such as acetylation and phosphorylation, or interact with other coactivators. For p300, there is an experimental evidence showing its involvement in ligand-independent activation by IL-6 (106). Overexpression of p300 was sufficient to overcome lack of activation caused by blockade of the MAPK pathway. A p300 mutant that lacked histone acetyltransferase activity did not show an effect on IL-6-caused activation of the AR. When p300 levels were downregulated by short interfering RNA (siRNA), the ability of IL-6 to induce the expression of prostate-specific antigen (PSA) was abolished. Thus, different experimental approaches were used to demonstrate the role of p300 in the cross talk between IL-6 and AR signaling pathways. Increased expression of p300 in biopsies from patients treated with radical prostatectomy correlated with tumor volume, extraprostatic extension, seminal vesicle involvement, and progression after surgery (107). Proliferation of prostate cancer cells was inhibited by p300 siRNA. CBP was originally discovered in prostate cancer cells as a factor responsive for opposite effects of androgen and AP-1 (86). Expression of CBP was demonstrated in both benign and malignant prostate tumors (108). CBP may be particularly important for determining the outcome of treatment of cancer cells with anti-androgens. 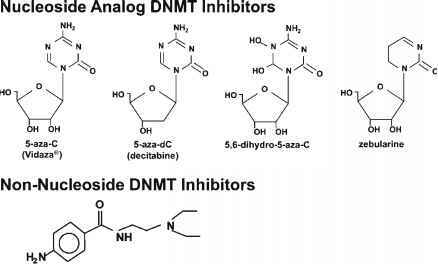 These drugs can exert undesirable agonistic effects because of the presence of AR point mutations or overexpression of specific cofactors. Agonistic properties of hydroxyflutamide were potentiated in transfected DU-145 or LNCaP cells in which CBP was overexpressed (108). This seems to be a selective enhancement of agonistic action because the effect in the presence of bicalutamide was only minor. The levels of CBP mRNA and protein in prostate cancer cells LNCaP were downregulated by the synthetic androgen, R1881. This finding implies that, during androgen ablation, the expression of CBP (and some other coactivators) may increase, contributing to a hypersensitive reaction of the AR. In most patients who failed endocrine therapy, strong presence of CBP in tumors was detected by immunohistochemistry. Expression of the AR coactivator, Tat-interacting protein 60 (Tip60), which directly acetylates the AR, is regulated in a similar manner in prostate cancer cells as that of CBP. A high expression of Tip60 was observed in nuclei in prostate cancers that failed to respond to endocrine therapy (109). Upregulation and nuclear accumulation of Tip60 was induced after androgen ablation (109). Tip60 is recruited to the PSA promoter in androgen-dependent prostate cancer cells after androgen treatment (97). However, in androgen-independent sublines, this recruitment occurs even in the absence of androgen. This may be an important mechanism regulating androgen-independent expression of PSA and other AR target genes in prostate cancer. In androgen-depleted conditions, there is also enhanced expression of the F-actin-binding protein, gelsolin, which strongly potentiates AR activation by hydroxyflutamide (110). Another example of a cofactor-supported agonistic effect of hydroxyflutamide is that of ARA55, a protein whose sequence shows a high homology to the mouse transforming growth factor-P-inducible gene, hic5 (111). There is a lower expression of ARA55 in endocrine therapy-resistant prostate carcinoma and in LNCaP or DU-145 cells. The intermediary molecule in transforming growth factor-P signaling, Smad3, was reported to exert either stimulatory or inhibitory effects on AR signaling depending on cell type (112,113). The effects of estradiol and hydroxyflutamide were potentiated by ARA54, a co-regulatory protein with ubiquitin ligase activity, preferentially with the LNCaP mutated AR (114). Coactivators whose expression increases after androgen ablation should be used in screening tests for novel anti-androgenic drugs. These novel compounds should be used in experimental therapy for prostate cancer only if they do not promote acquisition of agonistic properties of AR blockers. ARA70, as mentioned, was the first coactivator whose interaction with the AR was investigated. However, it potentiates the effects of respective ligands on activation of progesterone and also the glucocorticoid receptor (115). In prostate cancer, it is involved in AR activation by estradiol, 8-5-androstanediol, and anti-androgens, without showing a preference for hydroxyflutamide, bicalutamide, or cyproterone acetate (116-118). Controversy continues regarding the role of ARA70 in prostate cancer cells. It was shown that LNCaP colony growth was suppressed by ARA70 and that advanced prostate cancers lost its expression (119). These findings suggest that the coactivator has a primarily tumor-suppressing function. These data, however, differ from those of Hu and associates who presented the opposite results (120). It seems that ARA70 is an AR target gene. In the CWR22 xenograft, its expression follows that of several well-defined genes regulated by the AR (99). In addition, downregulation of AR levels by resveratrol leads also to reduction of ARA70 expression (121). In general, studies on ARA70 are not conclusive and more research is needed to better understand its role at different stages of prostate carcinogenesis. Retinoblastoma and BRCA1 proteins are tumor suppressors that induce AR transcriptional activity (118,122). One could hypothesize that these coactivators modulate the prodifferentiation action of high concentrations of androgens. Regulation of cellular events in prostate cancer by retinoblas-toma is, however, limited because prostate cancers present with loss of this tumor suppressor. In contrast, AR activity is also influenced by molecules that drive progression of the cell cycle, such as cyclin E (123). This interaction occurs through the N-terminal region of the AR. Similarly, cdc25, a dual-specific phosphatase that promotes cell cycle progression by activating cyclin-dependent kinases also potentiates AR function and is overexpressed in tumors with a high Gleason score (124). ARA160 is a coactivator that associates with the N-terminal of the AR and cooperates with ARA70 in enhancement of AR activity (92).